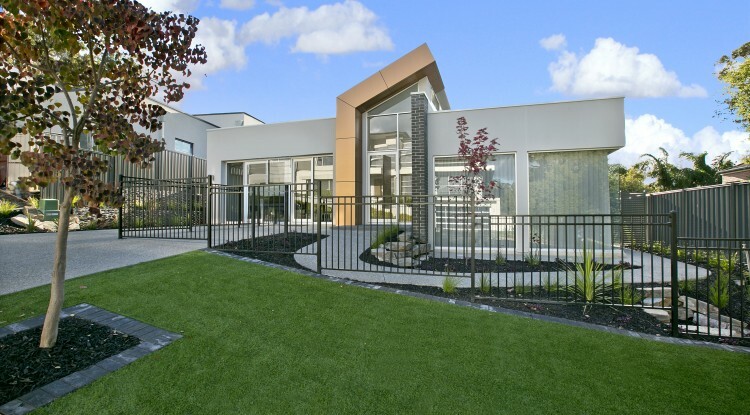 Our Adelaide 364D home on display at Blackwood Park is a multi-award winner for best display home. An exceptional, architectural split-level home, it is designed for luxurious family living. Featuring a palatial entry, four bedrooms, two bathrooms, two living areas, media room, and plenty of private and shared spaces. The ultimate entertainer, it showcases an impressive, contrasting kitchen with butler’s pantry that looks out across the large living spaces to the alfresco/outdoor area. 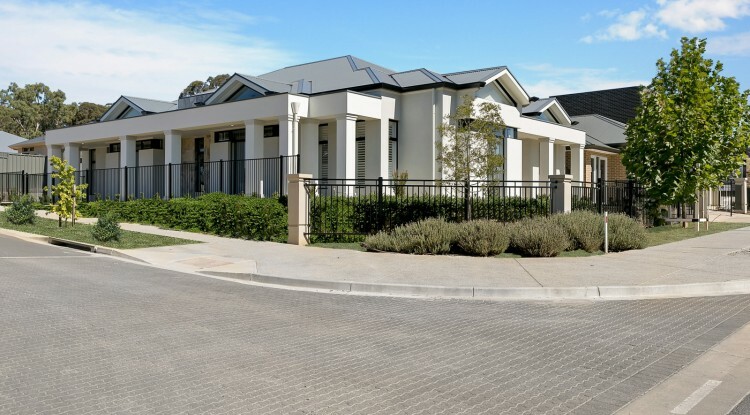 The first of two homes on display at Mount Barker, the award-winning Kensington 335 is a grandiose home with an impressive facade, square-set pillars and unique angles. A fantastic entry leads into a beautifully large open-plan living area perfect for entertaining. A huge modern kitchen with sleek, clean lines, featuring the latest Smeg appliances and a butler’s pantry, is the focal point of the home. Completing the list of features of this home are three ample bedrooms and a study, a separate living area, and alfresco spaces including a long verandah. The second home on display is the Tusmore 259, a compact home that is deceptively larger than it seems from the outside. A wide, impressive entry leads past the master suite to twin spaces that incorporate a media area and a formal living area. The light, airy nature of this three bedroom entertainer’s home extends to the open-plan kitchen, with huge pantry and modern trimmings, and spacious living areas through to the alfresco outdoors.